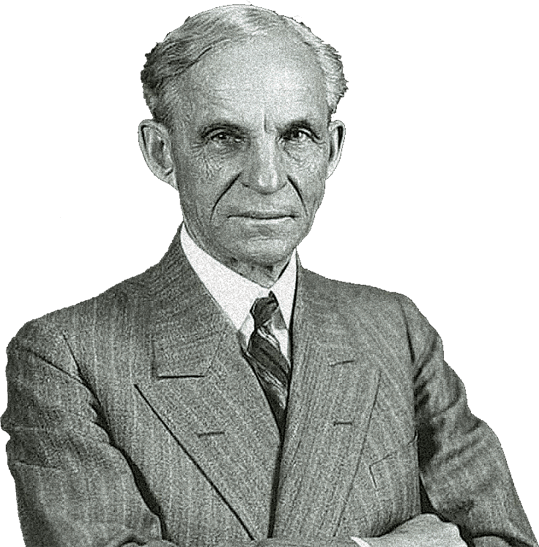 Located on the Great Ogeechee River, just south of Savannah, Richmond Hill, Georgia, is a great place to spend a day, stay the night, and explore Henry Ford’s Southern town. The automotive industrialist made Richmond Hill his winter home for almost 25 years. Visitors today can feel Ford’s influence through exhibits at the Richmond Hill History Museum and on the Coastal Bryan Heritage Trail while also enjoying the scenic beauty of the area that first attracted him here. 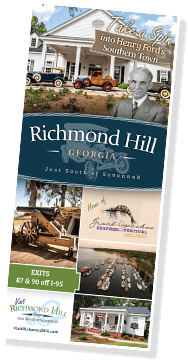 Richmond Hill is also a great location for exploring Historic Savannah, Tybee Island, and all of coastal Georgia. Experience the wonderful secret in Savannah’s backyard. Richmond Hill, Georgia is a unique community on the outskirts of Savannah, with a history all its own. Each year, thousands of visitors come to play on the Great Ogeechee River, visit Fort McAllister State Historic Park, Civil War Museum and Campground, and to learn about the community that Henry Ford built.